City living in the twenty-first century is a noisy business. No longer can you expect to climb into bed at nine each evening and wake up at five in the morning, having slept through a noiseless night. People work round the clock, the traffic is relentless and there's always noise coming from one place or the other. The result is that many people today are sleep deprived. The good news is that it is possible to cut out much of the noise that prevents us from sleeping. Good quality soundproof curtains can dampen the noise significantly and they are readily available. Residential sound reducing curtains are made from soft, heavy materials that absorb the sound of both incoming and ambient noise whilst adding style and elegance to the room. Very often these curtains also block out light, offering you the best chance of sleep any time of the day. We have put together a review of some of the best noise reducing curtains on the market to help you to make the transition to peaceful sleep. We also offer you some advice on how to choose the best quality noise reducing curtains. These soundproof curtains are made from high-quality fabrics boast patented sound reduction technology. Unlike most other soundproof curtains that work by absorbing sound, these curtains absorb and deflect sound. This is what makes them so effective. They are capable of deflecting between 70% and 90% of the incoming noise. These are the only curtains that have achieved Sound Transmission Class STC rating of 29, a measure of sound restriction capability. This product is also highly effective in blocking out incoming light. 99% of the incoming light is kept out allowing you to enjoy restful sleep day or night. 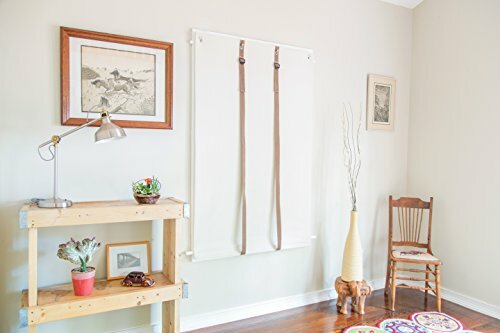 Save money on the energy bill as these curtains also effectively prevent thermal transfer keeping the room at even temperatures throughout the day. In taking measurements ensure a three-inch perimeter around the window as the curtains seal on the edges with Velcro. The manufacturer will not accept returns so make sure that your measurements are exact. If you are looking for a soundproof curtain for a doorway then NICETOWN has the ideal solution for you. These elegant curtains made from triple weave polyester are topped by silver grommets and have identical front and back panels giving them an elegant and contemporary look. They are available in fourteen rich and stylish colours, so you should be able to match them with the décor in any of the rooms in your home. These elegant curtains are functional too. They block out light, dampen sound and are thermally insulated, helping you to reduce the cost of heating and cooling in your home. The thick triple weave blackout fabric will help to protect your valuable possessions from damaging ultra-violet rays and will allow you to sleep peacefully with little light or sound interference. These wrinkle-free curtains are low maintenance and are ready to hang. The curtains are machine washable and can be tumble dried at low heat. The finishes, edges and binding of the curtains are of a high quality and fabric is fade resistant so the curtains should retain their good looks for years. They are also available in a variety of dimensions that can suit your doorway. Made from 100% polyester, these noise cancelling curtains are sold as single panels. The fabric of these curtains has had several layers of foam applied onto the back. This is a technique commonly used for blackout fabrics where one pass of white foam is covered by a second layer of black foam and a third of white. This process increases the thermal insulation qualities of the curtains ensuring that the room stays warmer in winter and cooler in summer, saving you the costs of air conditioning and heating. These thick curtains also help to dampen incoming sound and to block out light. These are room darkening curtains, rather than blackout curtains and are designed to block out the sun, whilst still providing some light. They block between 93% and 97.9% of the incoming light and are best used where you would like to block out harsh sunlight but would like to retain a soft ambient light during the day. The curtains are woven into a stylish chenille fabric that will bring elegance to any room. They have a 21-inch rod pocket with back tabs. The curtains are low maintenance and can be machine washed. The foam backing has a fairly strong odour so it is recommended that you wash the drapes before hanging them. Deconova specializes in soft home décors such as curtains, cushions and bedding so it is little surprise that they have a wide range of tailored soundproof curtains that would do any room justice. These curtains come in twin packs and have elegant square hanging grommets. Install the curtains by hanging on a plain or decorative rod. The curtains are made from soft and stylish fabric and they come in a comprehensive range of colours. The back and the front of the curtains are identical so they will look great on any window in your home. These are blackout curtains and will prevent most light from entering the room at any time of the day. The darker the curtain colour, the more effective the blackout quality. The thermal insulation properties will ensure that the room retains its comfortable ambient temperature at lowest energy costs. The thick triple weave polyester is an effective noise dampener reducing the level of incoming noise. Made from 100% polyester these curtains are machine washable and can be tumble dried at low heat. Sold individually each of these stylish curtains has six silver grommets which will fit a plain or decorative rod for easy installation. Available in twelve vibrant colours, these curtains are able to block out 95% of the incoming light and 100% of the ultra-violet rays, protecting your valuable possessions from the ravages of sun damage. The curtains contain no vinyl. They are environmentally friendly and are safe for children’s rooms. Thermally insulated, these curtains will prevent the loss of temperature from the room and will ensure that the environment remains cool in summer and warm in winter, helping to reduce your energy bills. These heavy and elegant drapes can dampen incoming noise by as much as seventy percent, so ambient noise need no longer bother you. These luxury velvet curtains come in a pack of two. You can choose either a ring top or pole top design either of which is easy to install on a plain or decorative rod. Choose from a range of six colours. Velvet has been considered a luxury fabric for centuries. It is anti-allergenic, anti-bacterial, anti-static and feels great on the skin. The rich velour of these extra-long drapes will help to reduce the level of incoming noise as velvet is known to be an effective noise dampener. The curtains will also reduce the level of incoming light by about 98%. The combination of noise and light reduction should ensure that your family is able to sleep whenever they want to. The microfiber fabric of the curtains will help to maintain the ambient temperature of the room, retaining cool temperatures in the summer and warmth in the winter without having to run up energy costs. A quick steam will help to refresh the fabric. These low-maintenance curtains can be machine washed and tumble dried at low heat. This unlined curtain comes in a single pack. Available in five colours, it is made from a rich embossed fabric. The top of the curtain has grommets for easy installation on a plain or decorative rod. The front and the back of the curtains are identical which lends them a stylish finish that will add elegance to any room in the house. Embossed fabric offers superior protection from incoming light and ultra-violet rays, protecting your personal possessions from sun damage. The thermal insulation qualities of the curtains keep the temperature in the room constant preventing the loss of heat in winter and keeping the heat out in the summer months. The wrinkle free material is a thick triple weave and is low maintenance. The curtains are machine washable and can be tumble dried at low heat. A regular steam clean is recommended to freshen them up. These curtains are well finished and will offer you good value for money. There are two ways of tackling the problem of ambient noise. You can block the noise out or you can absorb the noise. Generally blocking noise out is expensive. It may entail double glazing, replacement of hollow core doors or reconstruction of inadequate walling. It is cheaper and easier to absorb or dampen the noise. Dampening reduces resonance, lessening the impact on the surrounding environment and making the area seem quieter. In a home, most noise enters through windows or doors. Curtains offer the most cost-effective and attractive methods for dampening noise. Curtains made from soft, heavy materials easily absorb sound waves. They cannot completely block noise out, but if you know what to look for you can find the right product that does a very good job of dampening the noise to a quiet and comfortable level. Commercial and residential soundproof curtains are usually made from heavy fabrics such as velvet, wool, suede or cotton. They are made by sandwiching vinyl or blanketing materials between plush and decorative fabrics to create drapes that add a touch of elegance to the room. Energy efficient curtains generally also work well as soundproof curtains. Most will block sunlight and ultra-violet rays and are thermally insulated so they help to control room temperature saving on the cost of energy. Blackout curtains are a cheaper and lighter alternative to soundproof curtains. Thermal blackout curtains are great not just for keeping light out but for thermal insulation and for reducing noise by up to forty percent. The heavy-weight material required to block out light also acts as a sound dampener. If you have decided to go the route of blackout curtains test them with a light to ensure that no light escapes. If light escapes they will not offer effective soundproofing. Weight– generally heavier curtains absorb more noise. Heavier curtains also absorb the lower frequencies more easily. The rule of thumb is that curtains that are twice as heavy will absorb three times as much sound. Additional filler of the type that is included in energy efficient curtains. The thermal insulation in these curtains helps to regulate the temperature of the room and it also helps to reduce the amount of noise entering the room through the window. Length – to achieve the highest level of soundproofing the curtain must completely cover the window. The best soundproof curtains will hang from ceiling to floor. If this is not feasible you should at least ensure that between ten and twenty inches of the wall is covered at both the top and the bottom of the window. Width – pleats in the curtains create a thicker dampener. The shape of the pleats helps to dampen the noise by increasing the available surface area. Effective soundproof curtains should be two and a half to three times the width of the window to achieve the most effective soundproofing. The heavier the pleating the better the sound attenuation at lower frequencies. The wraparound rod curves towards the wall at the ends effectively reducing the distance between the curtain and the wall. These rods also help to keep out drafts and light, enhancing your privacy. A double rod allows you to double up on the soundproof panels used, also reducing the distance between the window and the curtain. Ceiling mount curtain brackets take the curtain closer to the ceiling for a more effective soundproof measure. The best noise reduction curtain for you will depend largely on your lifestyle, your budget and the level of noise in the environment. By choosing a high-quality noise reducing curtain in the correct volume, you should achieve a quieter more comfortable lifestyle and at the same time save costs on temperature control in your home. The best curtains will add style and elegance to your windows, whilst protecting the inside from excessive noise, damaging ultra-violet rays and sleep disturbing light. The best noise reduction curtain for you will depend largely on your lifestyle, your budget and the level of noise in the environment. By choosing a high-quality noise reducing curtain in the correct volume, you should achieve a quieter more comfortable lifestyle and at the same time save costs on temperature control in your home. The best sound deading curtains will add style and elegance to your windows, whilst protecting the inside from excessive noise, damaging ultra-violet rays and sleep disturbing light.